Beyond Fitness Solutions, LLC — a premier in-home fitness training and lifestyle coaching company serving Morris County and surrounding areas in New Jersey. We provide in-home personal fitness training, backyard boot camp, wellness and lifestyle coaching, and fitness and weight-management seminar. We specialize in helping busy, working professionals who want safe, effective workouts with maximum results in minimum time. C. Carey Yang, Your Dream Body WorkoutXpertTM, is a certified personal trainer, fitness boot camp instructor , owner and founder of Beyond Fitness Solutions, LLC. He is the creator of the 6-Step Dream Body BlueprintTM Body Transformation System. To learn more about lifestyle and wellness coaching, personal fitness training and nutritional counseling and to sign up for a free monthly e-zine, receive free fitness and fat loss e-books, and schedule a complimentary consultation, visit http://www.BeyondFitnessSolutions.com. Our style of fusion workout adapts and integrates martial arts, Pilates and yoga into training routine for muscle balance, strength, flexibility and core stabilization. I believe in every person’s power to change his lifestyle and improve his health and fitness. In addition to cross training, he adopts a multi-dimensional approach to health and fitness to achieve total body-and-mind balance. The 6-Step Dream Body Blueprint(TM) Body Transformation System is a step-by-step program that addresses healthy lifestyle changes, lifelong fitness and weight management, personalized nutrition plan that works for you. It was borne of scientific research and real-life experience that makes my program unique and highly effective. Carey is a multi-sport athlete since his childhood. 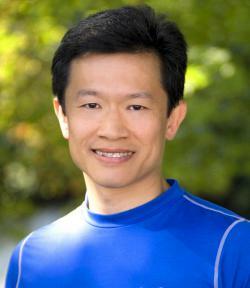 He has been passionate about fitness training for the past 19 years. His mission is to make a difference in people’s lives by enhancing their quality of life through health coaching, fitness training and nutrition education. Carey believes in every person’s power to change his lifestyle and improve his health and fitness. In addition to cross training, he adopts a multi-dimensional approach to health and fitness to achieve total body-and-mind balance. Based in Denville, New Jersey, Carey specializes in helping busy professionals who want effective workout with maximum results in minimum time. He is the creator of the 6-Step Dream Body Blueprint(TM) Body Transformation System.